The Hotel Finder Berlin search engine covers the area from Alexanderplatz in the middle to Kurfürstendamm. The online Berlin Guide serves as a hotel guide, developed for tourists as an orientation guide; and for all those seeking assistance when booking a hotel or hostel in the accommodation labyrinth that’s on offer at the City Berlin Wikipedia. The database behind this Hotel Accommodation service includes more than 400 hotels in Germany’s capital Berlin. This guide covers the area from Kreuzberg to Charlottenburg (Berlin Germany) but can also be used as a search engine for rooms, hotels and hostels in Berlin. The hotel is unique because of specifying the direct links to the websites of the Berlin hotels. By looking at the houses offered on the websites, the user can get his first impressions of the hotels and hostels of his choice. Is it indeed possible to travel while at the same time booking a hotel in the heart of Berlin and all that relatively inexpensive? Through this guide users have the unique opportunity to learn about the price of a room in a chosen hotel, make a reservation or make a booking. In many cases, this can be cheaper than booking through the intermediate global hotel portals such as popdp, hrs or Expedia. In addition of course, you have the possibility and benefit from those big hotel portals with all of their booking advantages. The hotel guide as a search engine offers the possibility to find hotels and hostels from the various districts of Berlin Spandau down to Friedrichshain. When you look up hotels and hostels, you will also receive their location – the district and address will be displayed. In addition, the web page immediately opens a map and with the street view of the respective street. Sometimes it will also display a brief description of the property appears to map too. For users who like to choose and compare their accommodation by categories, there is a second search function available: the search by the category (stars) of each hotel. The database searches for one star hotels, two star hotels, and so on up to five-star hotels. The database does not contain all Berlin hotels, but it is constantly up dated. We take no responsibility for the completeness of the list. At times, it may happen that a link address has changed. In this case, we ask to send us the new link for updating. For the future, we are planning additional information such as information about apartments, serviced apartments, guesthouses and other accommodation deals. The street view feature with route planner and googlemaps on our website is in particular for those travellers who come from Munich, the Hanseatic City of Hamburg, Dresden, and Nürnberg, Wörthersee or Cologne and looking for their first stay in Berlin. This city map service with navigation adn the possibility of route and distance calculation gives you a first impression about the area surrounding the respective accommodation before booking the hotel. The website is designed in a way so that it is easy usable on mobile devises such as phones and tablets. 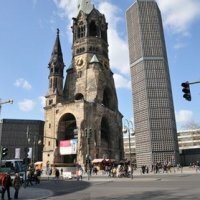 That’s how a visit Berlin getaway could look like: arrive with the Nightline at the central station or arrive by taxi directly from the Tegel Airport to a hotel in the city of Berlin, the capital of Germany, it is always a unique experience. Maybe you are on a tour from Mallorca via Austria to Berlin – there is something for everybody. – From the beach to the metropolis. Perhaps you decide to living in berlin.